Next week, a House committee will hold its first hearing investigating Planned Parenthood’s sale of aborted babies and their body parts. This is the first hearing in Congress’ multi-committee investigation of the abortion business after a series of nine videos exposed how it is potentially illegally selling aborted babies and profiting from the sales. LifeNews.com has learned that two abortion survivors will headline the House Judiciary Committee meeting and exposes the horrors of the abortion industry from their first-hand experience. On Wednesday, September 9, 2015, at 10:30 a.m., the House Judiciary Committee will hold its first hearing in a series of hearings titled, “Planned Parenthood Exposed: Examining the Horrific Abortion Practices at the Nation’s Largest Abortion Provider.” The hearings will examine the abortion practices of Planned Parenthood, which has been the subject of an ongoing House Judiciary Committee investigation into the organization’s practices. When the panel meets, the will hear from abortion survivors Melissa Ohden and Gianna Jessen. Ohden is a LifeNews.com writer and a nationally-recognized speaker. Ohden’s mother had an abortion to end her eight month-old child’s life, but Melissa miraculously lived. Her mother was in college and 19-years-old with no father to support her when she decided to terminate her unborn child with a saline abortion. This type of abortion involves injecting a toxic saline solution into the amniotic fluids surrounding the pre-born baby in the womb, scalding it to death from the outside in. Melissa soaked in the solution of chemicals for five days until labor was induced and she was thought to be dead. A nurse happened to hear her muffled cry, and luckily Melissa’s biological parents chose to give her up for adoption instead. “My parents saw the inherent beauty that existed in me. I want everyone to see that. If we look behind words, if we look behind numbers, this is what abortion looks like. This is what tens of millions of other children would look like . . . if only they were given the opportunity to live,” Ohden has said. To those who follow abortion issues closely, the name Gianna Jessen is familiar. Over the years she has been a tremendous speaker about the value of life. As a survivor of abortion, Gianna knows what she is talking about — and her personal story is one that has inspired countless people and opened the eyes of many to how abortion involves the destruction of human life and isn’t something that just happens to a bunch of cells. Despite her adopted mother hearing from doctors that Gianna “will never be anything” she is now able to live an extraordinary life. The purpose of Wednesday’s hearing will be to hear from experts on the issues surrounding the alleged acts of Planned Parenthood. The hearing will examine details of late-term abortions, what is involved in altering an abortion in order to harvest fetal organs, and a history of the laws that protect, or fail to protect, the unborn from these barbaric practices. House Judiciary Committee Chairman Bob Goodlatte, a pro-life Republican from Virginia, talked about what will take place at the hearing. “Planned Parenthood and its executives must answer for the alleged atrocities brought to light in the videos by the Center for Medical Progress. For the past two months, the House Judiciary Committee has been investigating the alleged acts of Planned Parenthood and its affiliates, and now the American people will have a chance to understand just how horrific these practices are to the unborn,” he said. 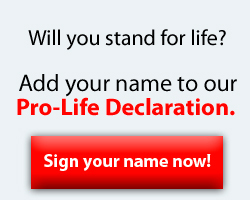 Keep up with the latest pro-life news and information on Twitter. Meanwhile, the House of Representatives is planning a vote on legislation in a couple weeks that would de-fund the Planned Parenthood abortion business. The two votes would follow one the Senate had weeks ago, which saw Senate Democrats filibuster and block legislation to revoke $550 million in taxpayer funding. The Senate is expected to vote soon on a second attempt to de-fund Planned Parenthood. The Center for Medical Progress released a new video this week — the 9th in its series of videos catching the Planned Parenthood abortion business selling aborted babies and their body parts. This latest video catches a Planned Parenthood medical director discussing how the abortion company sells fully intact aborted babies — including one who “just fell out” of the womb. Previously, the Center for Medical Progress released a supplemental video that sheds more light on the profit Planned Parenthood makes associated with the ale of aborted babies and their body parts. On Friday, the Center for Medical Progress released the full, uncut video of the conversation between undercover investigators form CMP and top officials with StemExpress, which buys aborted babies and their body parts from Planned Parenthood. The full footage is of a shorter video that summarized the meetings earlier this week. Also, two committees in the House of Representatives have already launched investigations of Planned Parenthood. One committee is looking into whether or not the abortion business is breaking federal law by altering abortion procedures to better obtain aborted baby body parts for sale. Another committee, among other things, is investigating the Obama administration and whether there is any connection between it and the abortion giant. The 9th video: catches a Planned Parenthood medical director discussing how the abortion company sells fully intact aborted babies — including one who “just fell out” of the womb. Congress has expanded its investigation into the Planned Parenthood abortion business and five states have revoked taxpayer funding for Planned Parenthood’s abortion business, including Utah, Arkansas, Alabama, New Hampshire and Louisiana and Iowa’s governor has ordered a review of Planned Parenthood funding. This entry was posted in Uncategorized and tagged 9 expose’ videos, abortion survivors Melissa Ohden and Gianna Jessen, altering an abortion in order to harvest fetal organs, Examining the Horrific Abortion Practices, fully intact aborted babies, Selling Aborted Babies. Bookmark the permalink.